One of the most common questions I get is, "how should I store my coffee?" Let's figure this out. I get asked many times, should I store my coffee in the bag, in a separate storage container, in the freezer? 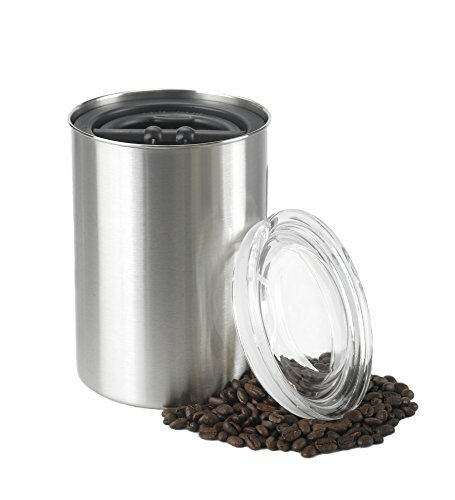 There are many possible ways to store coffee, and honestly, I haven't tried many to know what works best, but what I can tell you is that there are three enemies of fresh coffee, and as long as your storage solution addresses these enemies, you are well on your way toward a better cup of coffee. Coffee can go stale purely due to it sitting out. After coffee is roasted, it's flavor slowly degrades purely due to being out in the air. The best way to address this is to store your coffee in an airtight container. This way your coffee is not continually being fanned by the breeze and having the flavor fly away with the breeze. Coffee's flavor can also be affected by extreme temperatures. This one seems a little weird since you brew coffee using really hot water, but the best way to put it is don't add heat until your ready to have your coffee. The extra heat will use up that good flavor; so save it until your ready for a cup. The best way to address this is to keep your coffee in a stable temperature. I have had no problem keeping my coffee at room temperature (so don't feel like you need to refrigerate or freeze your beans). Alright, this one I haven't tested, but many websites talk about coffee's flavor being degraded by being exposed to light. I don't know, but many people talk about it; so I guess I am taking their word for it. The best way to address this is to make sure your coffee is not in a clear container. If you were to look at coffee under a microscope, you would see a swiss cheese like structure filled with holes and crevices. These holes and crevices are wonderful at absorbing other odors... unless you don't like your coffee tasting like onions? I don't know about you, but if I wanted French Onion Soup that tasted like coffee.... nope, nevermind that sounds awful. If you want to address this either get an airtight container or don't place your coffee near a strong smell. Yuck. Alright, let's summarize this. If you want your coffee to taste good, make sure your storage address these enemies of good coffee: Air, Temperature, Light & Other Odors. The best option I have found (and is the one I use at home) is to get one of the containers linked below. These containers are airtight, not clear, and can stay on your counter (where the temperature doesn't change). Get something like this, and you are on your way to a better cup of coffee.